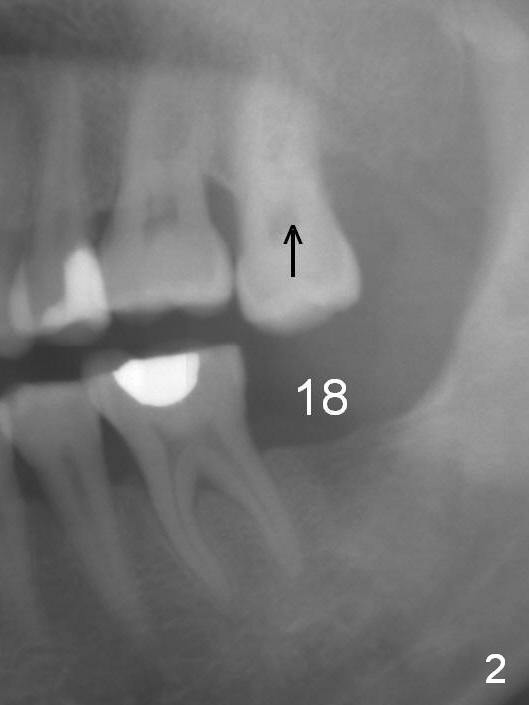 A 50-year-old man has lost the tooth #18 for 10 years; the opposing tooth (#15) has been supraerupted in the last 6 years (Fig.1,2). 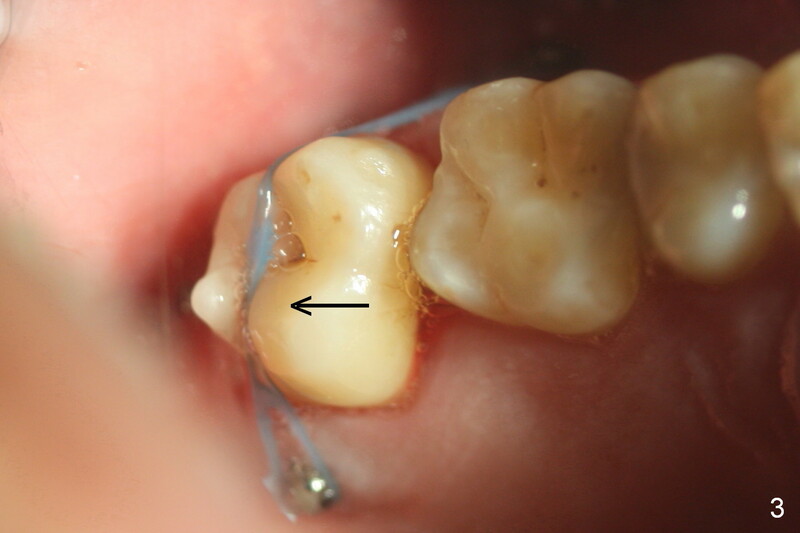 Mini-implants are placed to intrude the tooth #15 (Fig.2 arrow), instead leading to distalization in 4 months (Fig.3 arrow). Segmental orthodontic appliances are placed with noncompliance. 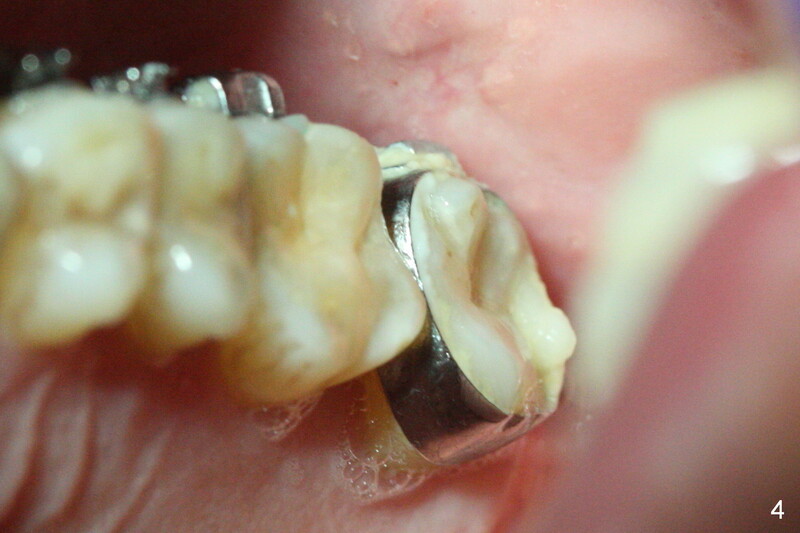 Five months post implant placement at #18, a provisional (Fig.5 P) is fabricated with intentional supraocclusion. 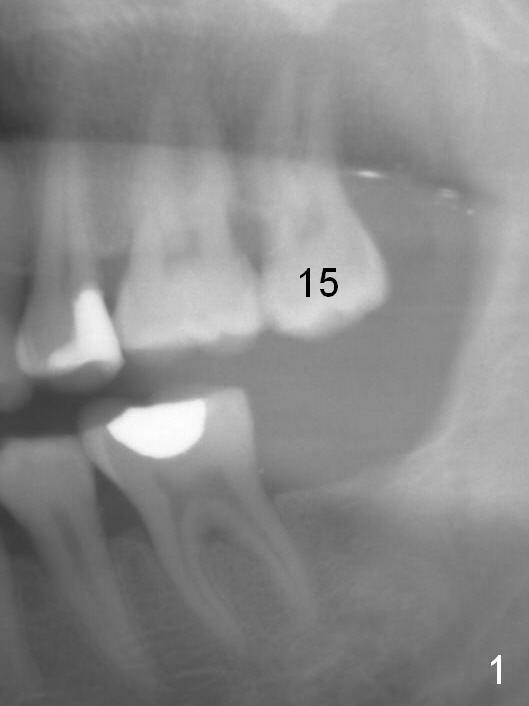 In 4 months, the marginal ridges of the teeth #14 and 15 are at the same level (Fig.4). 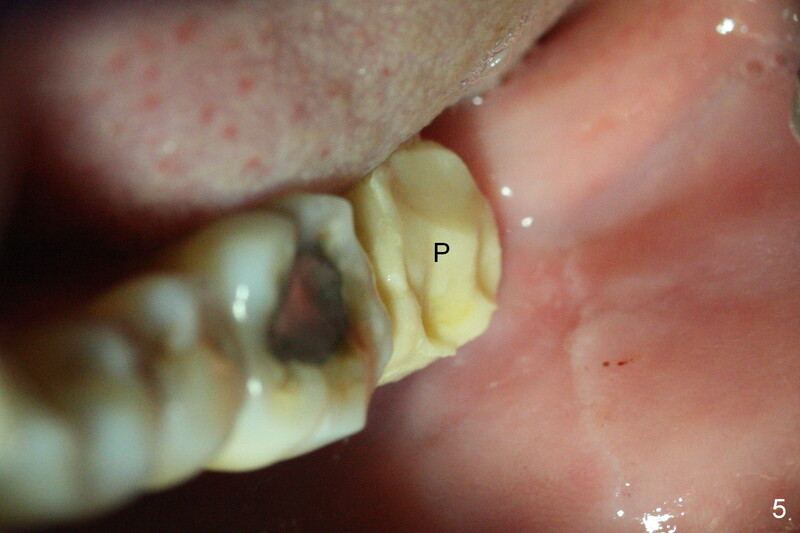 To prevent the 2nd molar from distalization, keep the third molar if present.